There are thousands of books on diet and nutrition full of advice on what to eat to live longer and healthier. Yet that advice seems to be constantly changing and even conflicting, and thus ends up being continually confusing. This is in part due to the fact that the human body is very complex—there are over 23,000 chemical processes in a human being. Some nutritional guidance pays attention to one process but forgets the chemistry involved and the impact on the whole body. Other advice is based on outdated research or even worse, is not based in science at all and is, in actuality, a myth. Both margarine and butter contain something called trans fat and those trans fats were assumed to be the same and thus work the same way in the body, although that is not the case. This was never the advice in my own household since I knew the chemistry of both foods and that the actual research supported the opposite! For 50 years, cholesterol has been considered the number one factor in heart disease in spite of the 50 years of research that has not shown this conclusively. My research even suggests that this focus on lowering cholesterol has led to a wrong course of action. Cholesterol that has not been used properly by the body is the problem rather than cholesterol in the food itself. This book focuses on the basic chemistry of food; this includes cholesterol and trans fat, how the body works, and how food fits into that chemistry. We explain the key processes in the body and why food is so important to its function. Much of the "why" comes from basic information about how the chemistry of the body works. This book explains the chemistry of some of those basic processes and how cholesterol is part of that process. We also look at the chemistry of trans fat to help you understand why eating it does not keep your heart healthy. 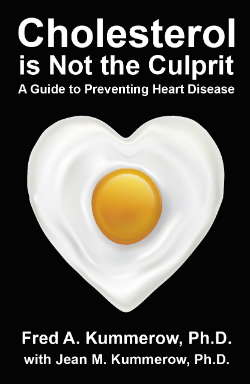 You will find a lot in this book related to diet and heart disease; it is the number one cause of death in the U.S. and throughout much of the world and also the focus of the majority of my career. To me, researching diet and heart disease is like being the detective in a good mystery book who follows clue after clue and finally comes up with an unexpected answer. The detective is always trying to find out who and what killed the person. For example, over 100 years ago, scientific detectives found that single cells—like bacteria—could invade a human being and cause death. Since then, detectives have been identifying more and more scientific reasons for causes of death, and in the process identifying the scientific processes of living. One of these processes involves cholesterol, which actually makes life possible. Some detectives view cholesterol as the killer in heart disease, but I show you why that’s not so. Thinking that cholesterol is the killer is quite different than thinking that cholesterol is a clue to the killer, and I hope you’ll agree with that latter conclusion. In this book you will read about new clues for the heart disease detective and what I believe is/are really the killer(s) in heart disease. Some of the clues focus on the biochemistry of the diet in heart disease. Other clues lead to what you can do to improve your diet and prevent heart disease. One of these, for example, is to eliminate trans fat from your diet. As I explain, trans fat interferes with blood flow, which can result in sudden death. In writing this book, I’ve used my vantage point as a biochemist and food scientist who has worked in this field for over seven decades, beginning during the Great Depression in the late 1930s. My own eating recommendations are in the last chapter. Those recommendations are for readily available foods, not exotic combinations available only in health food stores or from organic farms. I hope in reading this book, you’ll not only learn what is healthy to eat, but also why it is healthy to do so. How the body uses food to make what we need to keep going is an incredible, almost magical, process. We—as well as all animals and plants—are not programmed to live forever, but we can certainly increase the number of high quality years of life. Eating well—that is eating foods with high nutritional value—in moderation, may help us all do so. 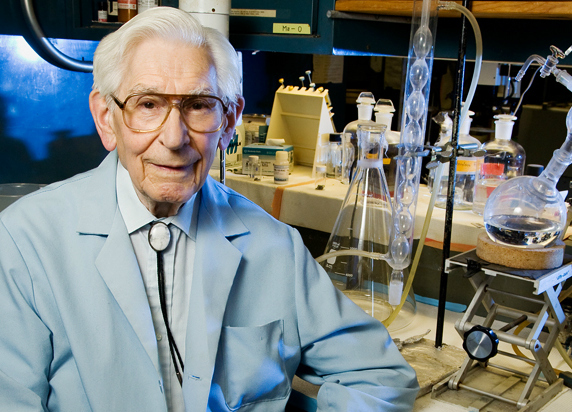 Dr. Fred Kummerow, a biochemist and food scientist, worked in the field of nutrition for over 70 years.